Energy Modeling is not only measuring and improving what an Architect designs in order to minimize the life cycle costs of utility bills and equipment, but it is also an open conversation for what the building could become when all disciplines work together. SIG promotes using energy modeling as a decision making tool to optimize the building envelope and mechanical system design. In the early phases, computer modeling helps compare first costs to life-cycle costs. It’s helpful to have clear goals for energy performance, and that’s where SIG has a lot to offer. We know what factors create measurable benefits and match your desired look and feel with practical energy management solutions. The pre-design stage is the perfect time to start thinking about Energy Modeling and how your building will perform in regards to energy efficiency. Simple manipulations like shape, orientation, and window-to-wall ratio should be carefully selected to align with your sustainability goals. Our recommendation for a project pursuing an integrative approach is involving the Energy Modeler in the pre-design process. If you are already further along, no problem. Sustainable Investment Group (SIG) will work with your timeline to add the most value at whatever stage we are engaged. At the end of the day, we believe team collaboration is the most essential step for long-term success. As the building design becomes more detailed, the energy model also becomes more detailed and must be updated when any major changes occur. Our goal is accuracy and results. The best design recommendations are made for your triple bottom line and are fully customized to meet our clients end goals. Finally, we create technical summaries and complete the LEED documentation in collaboration with our consulting team overseeing the comprehensive application. 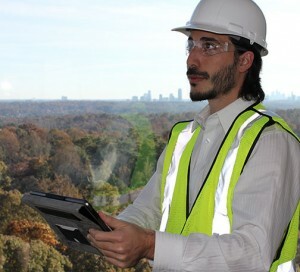 If you need Energy Modeling services, please contact Nick Kassanis at 404.343.3835.